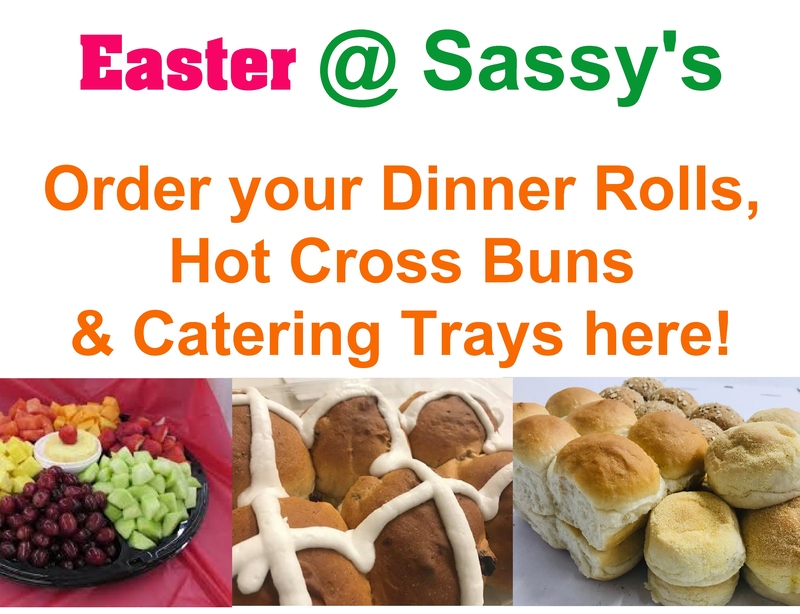 Sassy's is a family owned and operated business in the heart of Thorndale, ON. What started as a pizza shop has grown and transformed over the years into a bakery, deli & pizzeria. We offer a large variety of fresh baked breads and sweets, a large take-out menu with something for everyone, Shaw's Ice Cream, deli meats, cheeses and so much more. Our commercial bakery services about a 40 mile radius around Thorndale, providing baked goods to many grocery stores, restaurants, bakeries, golf courses & caters.